Product Description Sunday Brunch. Celebrate family, friends and endless mimosas during brunch with the Hampton server. Rich wood grains in a striking cocoa finish and varying textures add rustic charm, while the clean design, metal accents and barn-style sliding door provide a modern farmhouse aesthetic. 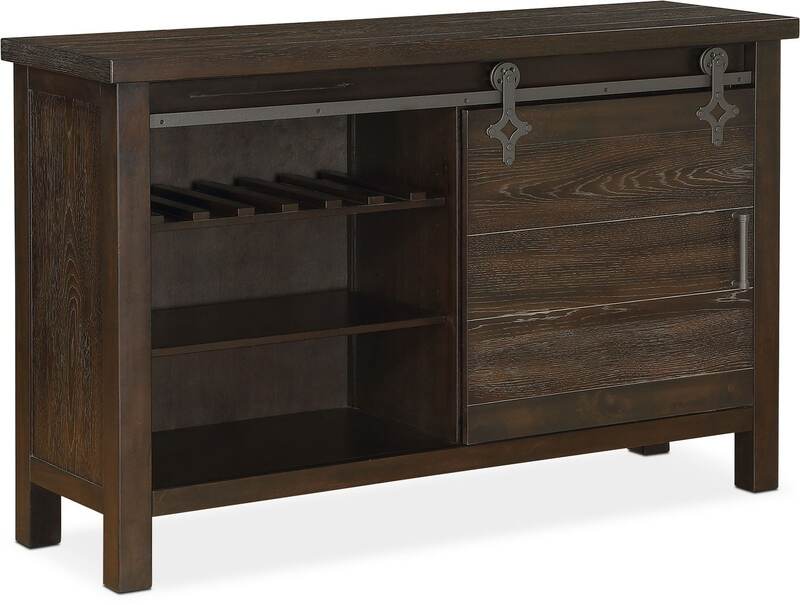 The sturdy construction of rubberwood solids and hickory veneers guarantee you’ll be hosting many future gatherings. Customer assembly required. Unique Features: The cocoa finish adds warmth to the natural wood texture.